Before the road trip, we researched what foods Cleveland is known for. 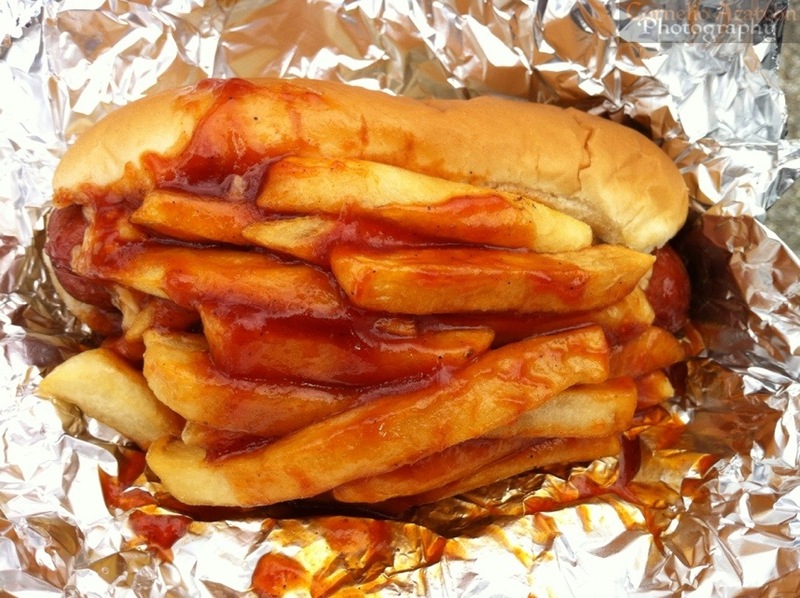 We found out that one dish native to the city is the Polish Boy sandwich, which is a link of kielbasa sausage in a hot dog bun topped with coleslaw, fries, and barbecue sauce. 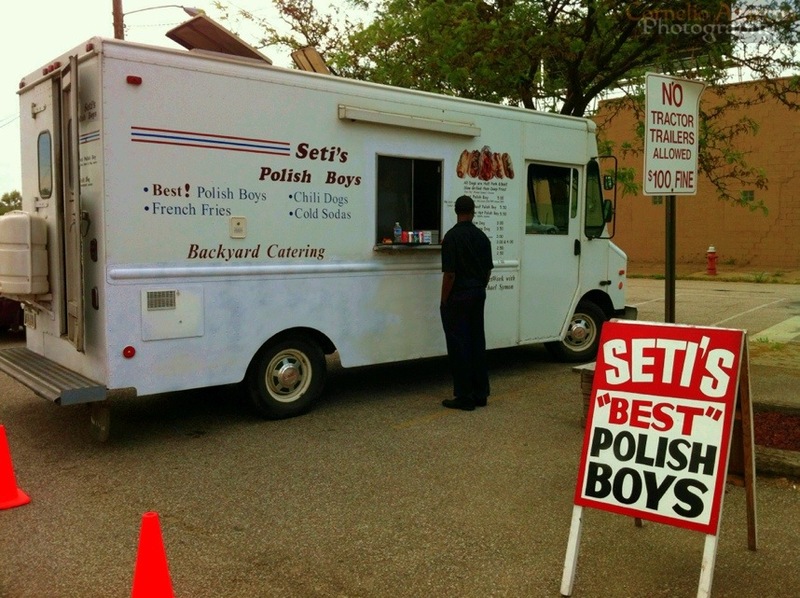 Further research led us to a Food Truck called Seti’s Truck, which was featured on the Food Network series The Best Thing I Ever Ate with Chef Michael Symon saying that they had the best Polish Boy sandwich. So, we pulled up to the parking lot of Dean Supply where the food truck was located. We placed our order and chatted with Seti, a very friendly fellow, as well as with his equally welcoming partner. They were delighted to see customers that came from as far as Toronto, so they took our picture for their Facebook page. We got our order, and ate the sandwich on a bench by the truck. Chef Symon was right, the sandwich was amazing. The coleslaw had a really nice tangy flavour to it, combined with the slight sweetness of Seti’s homemade barbecue sauce, it made for a very unique experience. 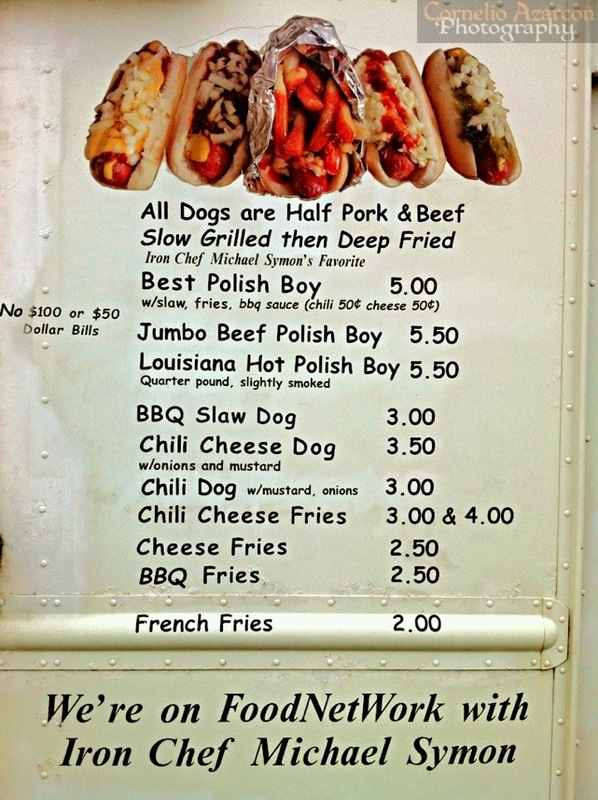 Definitely worth the visit and a great Cleveland Food Truck experience.